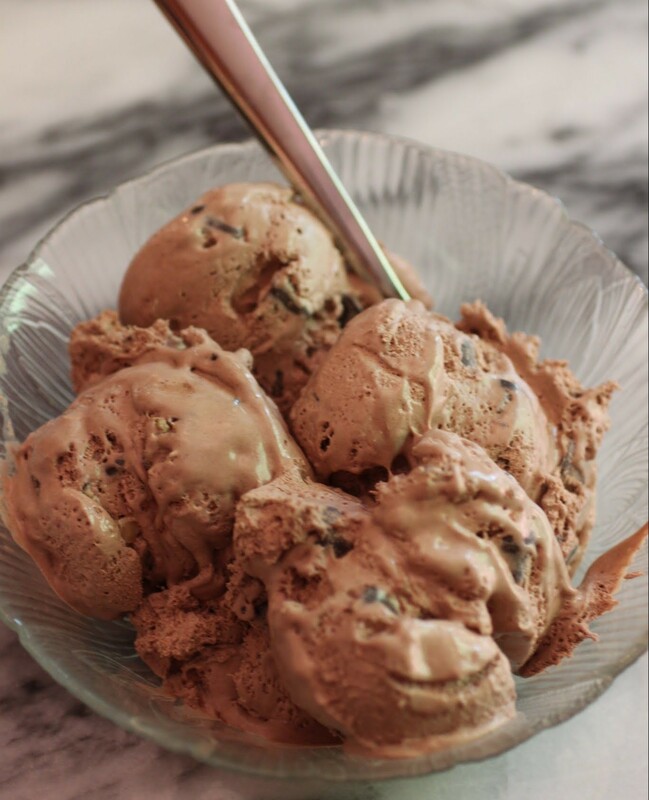 Candyland, Gluten-Free Goodness, We Scream for Ice Cream! I had to, everyone. It’s the end of the week. I’ve been baking with fruit all week. Now it’s time for peanut butter and chocolate to make a comeback! You know that I can’t go more than a week or so without doing something PB-related. It’s the ABCs of me, baby, and I’ve embraced it. Just like I’ve embraced the role of sugar in my life. More on that in a bit. If you get frustrated because your peanut butter ice cream isn’t peanut buttery enough, or because it doesn’t include enough mix-ins, look no further. 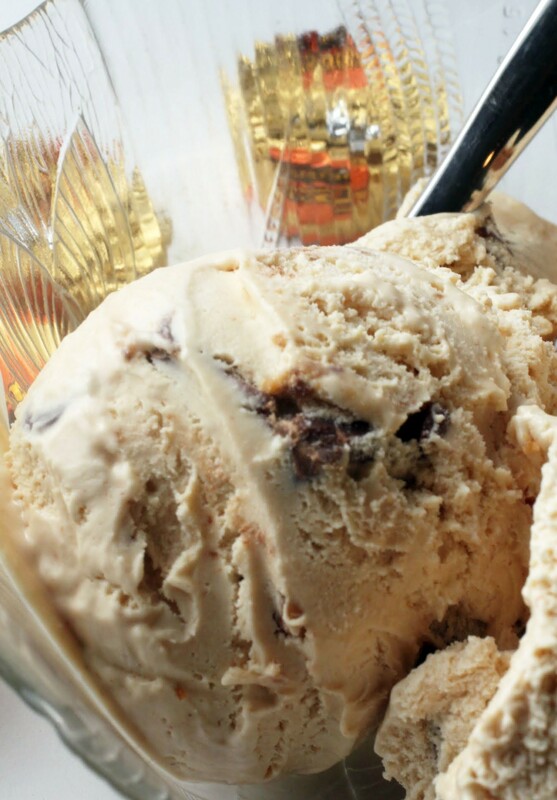 This no-churn option will satisfy all of your frozen peanut butter dreams! We haven’t talked about grapefruit yet. I. Love. Grapefruit. I know it must come as a shock that a sugar-addicted fiend like me actually eats fruit, but my diet is reasonably healthy. And I eat half a grapefruit every day. In fact, I love grapefruit so much that I’ve specifically avoided going on a medication because it would ban grapefruit from my diet with some awful chemical reaction. I can’t do that. Every day I need my fix, and if I bake it into a tart, well, so much the better. 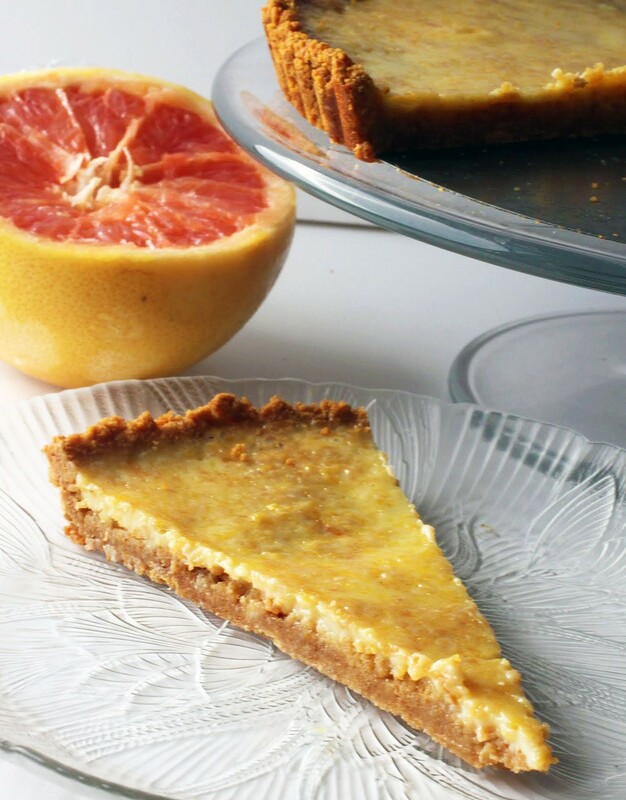 This is a tart for the ages! You’re going to love it. The world only needed one thing more, and now we’re good. Okay, maybe that’s a tad hyperbolic. But honestly, s’mores need peanut butter like Kanye needs Twitter. 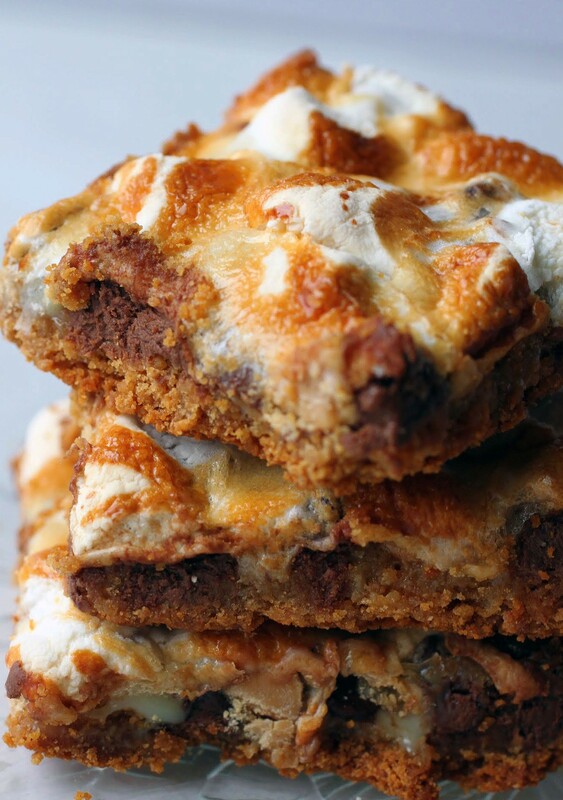 Magic bars are already over the top gooey and chewy, so why not have a little mouth party up in here? The week is going to be so much more pleasant with some sugar. 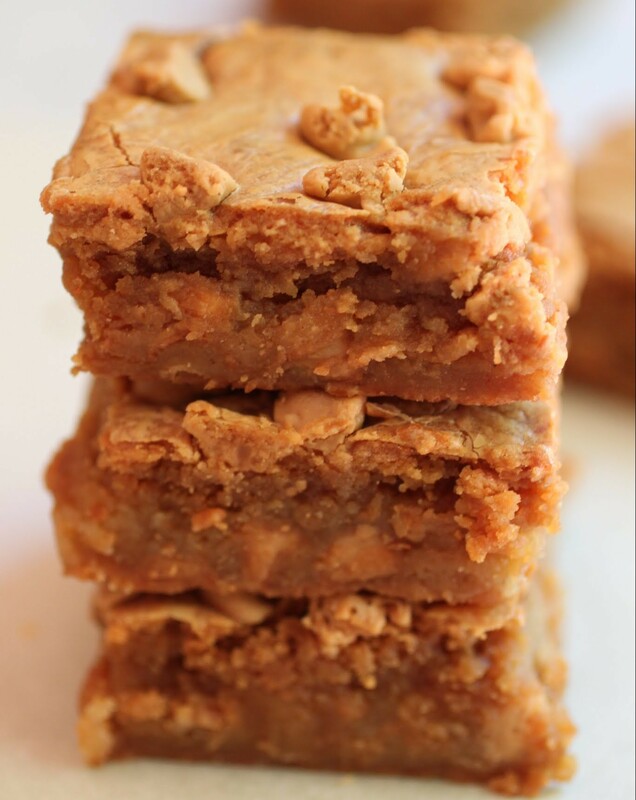 These are a riff on the standard magic bar, which comes together quickly and (of course) magically with fairly few ingredients and a can of sweetened condensed milk. SCM (as we bakers like to call it) is stuff of the gods and should not be put in a corner. Nobody puts Baby in a corner. We’re headed toward the Super Bowl! Anyone excited? Not me, unfortunately. My beloved Indianapolis Colts exited the season before the playoffs, so I selfishly stopped caring too much about the outcome of any games, except to hope that the Patriots don’t once again take it all. Tom Brady must’ve made a deal with Satan a long time ago to be both talented and good looking. I have issues with that man. But no matter what happens with the actual game, I never pass up a chance to make amazing football food. And what better than a giant hunk of fudge shaped like a football? Nothing, I tell you. It’s the best! As you may already know, I make a lot of fudge this time of year. A lot. 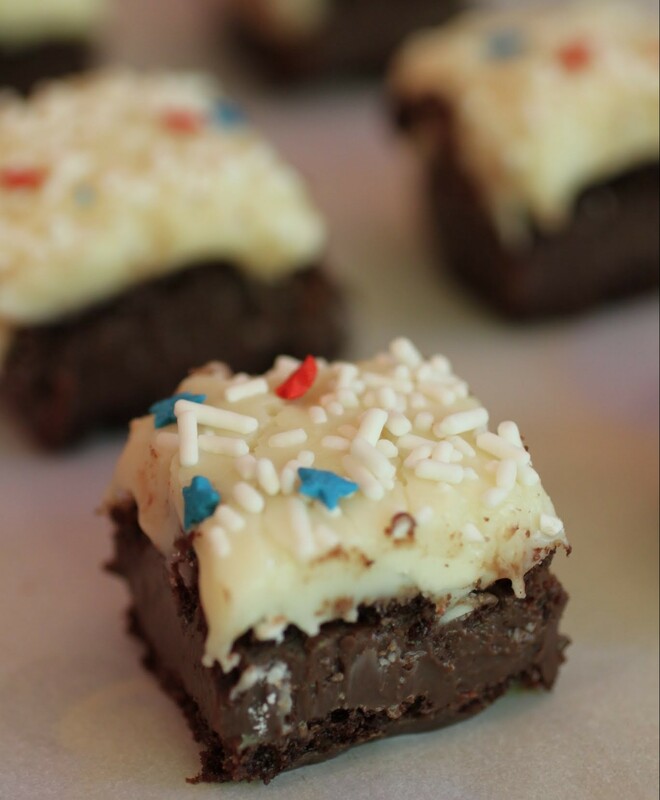 It’s hard not to, when it’s so easy to make people happy by giving the gift of fudge for very little effort. I’d rather put the hard work into maintaining friendships and being a good person rather than standing over a stove top with a candy thermometer. Not that the two are necessarily mutually exclusive, of course. As my wise brother pointed out to me last week, there is something about the combo of white chocolate and mint that is just meant to be. 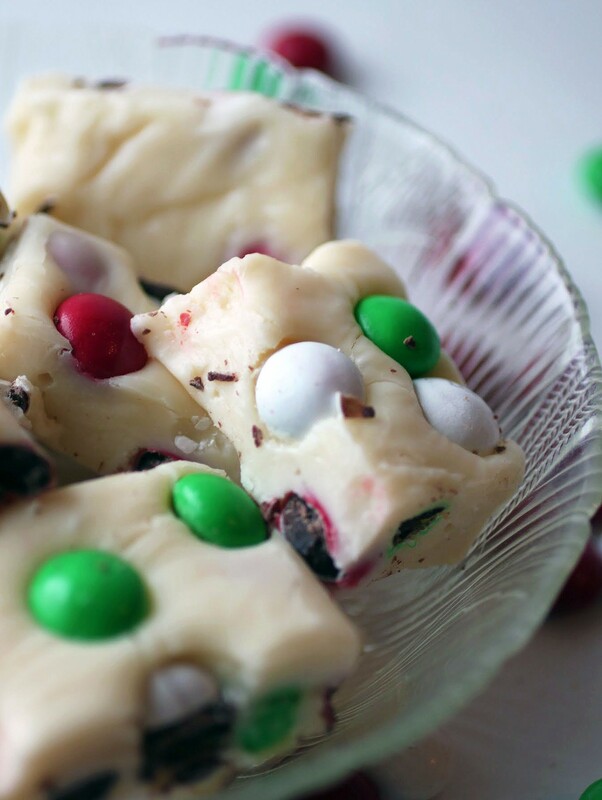 So in honor of him, here’s a white chocolate fudge filled with holiday mint-flavored M & Ms. In one bite, you get both crunchy and creamy sweetness. It’s the best! 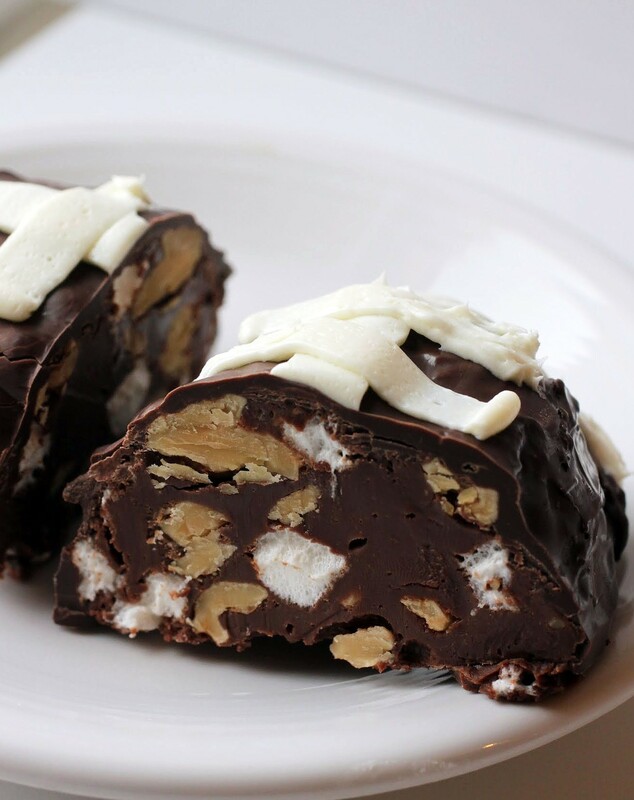 In case you haven’t figured it out by now, bar cookies are my absolute, all-time favorite treat. Think about it: they’re delicious, easy, and very packable. Someone who bakes as much as I do needs to be able to transport baked goods without an epic fail, and bars are conducive to that. Whether I’m headed to holiday potlucks and parties or just to the office, bars are my jam. And these bars are the best. 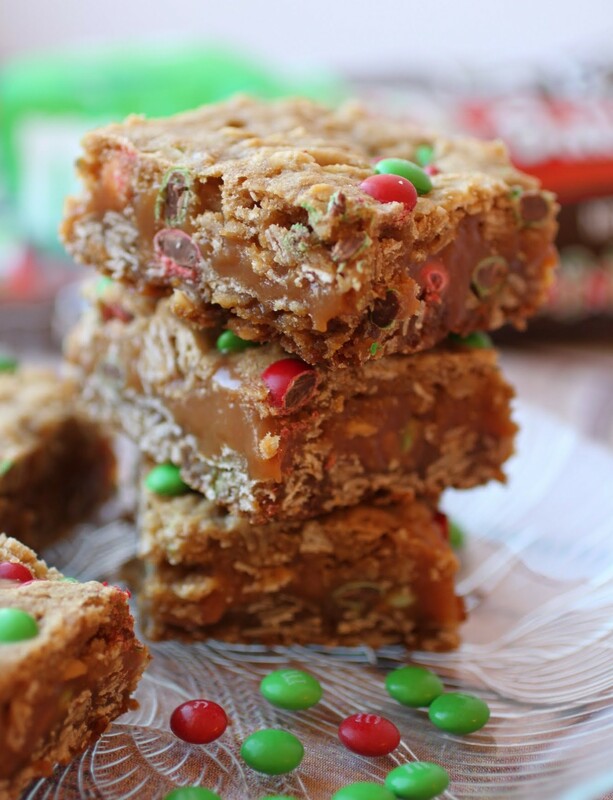 Two layers of oatmeal cookie dough sandwich a luscious caramel filling, all filled and topped with holiday M&M’s® bling. Who could ask for anything more? Now that the holiday season is officially here, it’s time to make homemade gifts and get them all ready to go. 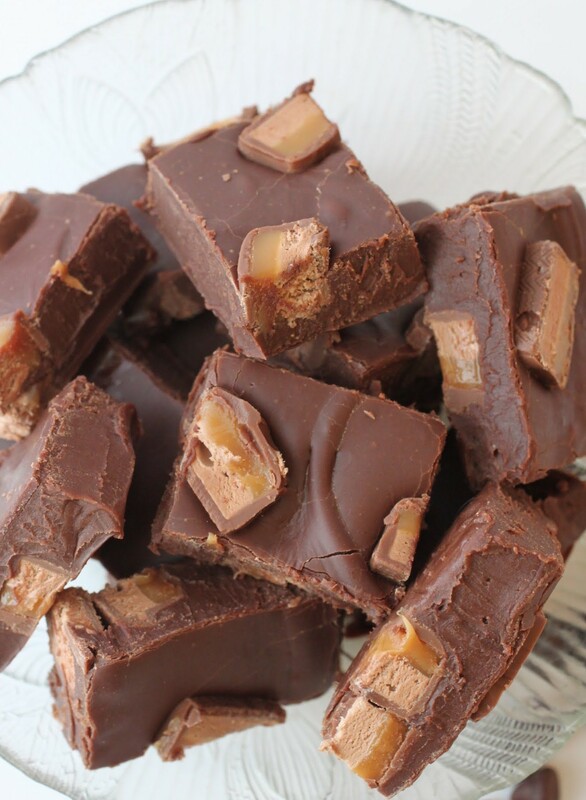 In other words, it’s time for fudge! In a week or so, my kitchen will be overflowing with pans of fudge. I’ve been known to have 20 pans sitting on my counters, getting sliced up and mixed into assortments for family and friends. Somehow, everyone always looks forward to fudge with so much excitement that I have a hard time gifting anything else. As long as we’re talking holidays, I might as well admit that I have some leftover Milky Way bars left over from Halloween. Or I should say, I had some. Now they’re all in this fudge! I read this really fascinating article the other day about why time seems to speed up as we get older. It’s actually a wonderfully simple explanation of this common phenomenon, and it turns out that we’re not all going crazy. Time does speed up as we age. See, when we’re little, a month seems like forever because our lives have been pretty short. A six year-old will spend what seems like decades waiting for her birthday because, relatively speaking, a year is a huge percentage of her life. That’s not at all true for a thirty-six year old, for whom a year is a much smaller percentage of life. And by the time anyone reaches much older age, time whizzes by because the majority of years spent alive vs. any time increment is much larger. Do I sound like a total nerd here? You caught me. I am a nerd about a lot of things, like Shakespeare, Star Trek, and getting older. Getting older scares me, and the faster time goes, the more my existential dread rears its ugly head. But since I’m also a baking nerd, I can use my prowess in the kitchen to provide some much-needed distraction from time’s unyielding march onward. If I keep making ice cream at this rate, Ben and Jerry’s might go out of business. I mean, I usually buy so much more from them. I wonder if they miss me. Nah, they’re too popular to miss me. And when I pass a scoop shop, I walk in. But at home, I’m too busy concocting fun ice cream flavors. This one is perfect for your summer celebrations because I think it’s totally original, plus it’s easy. Three base ingredients, everyone! It takes about two minutes to throw together. My house is quiet and dark. For several sweet hours a day, my kids are in camp while I get a chance to remember what life was like B.C. (before children) and inhale the sweet nectar of freedom. Here’s the ultimate perk of being a teacher. For two unpaid months (yep, I inserted that word on purpose), I get a taste of what it’s like to be a stay at home mom. It’s great for these two months. I would not be able to do it year-round and maintain my sanity. Especially if there was no camp.